Kennesaw Mountain Dental Associates offers dental implant restoration services to the residents of Kennesaw and the surrounding areas. We are a comprehensive, family dental practice that provides a full range of general, restorative and cosmetic dental care. Our goal is to deliver the highest quality dental care in a warm and caring environment. The dentist and staff at our dental practice are committed to helping our patients achieve a beautiful smile and healthy teeth and gums. By establishing trusting and respectful relationships, we enthusiastically educate our patients for a lifetime of good overall dental health. If you have recently had dental implants placed and are looking for restorative dentistry to attach a crown, bridge or partial denture to your implants, we can help. Our dentist, Dr. Hamir Contractor, has the knowledge, experience and expertise needed to restore your dental implants as well as the form and function of your smile. If you live in Marietta and are in need of dental implant repair services, Kennesaw Mountain Dental Associates can help. Our practice is comprised of a talented dentist and a dedicated team of dental support staff. Together we strive to make your visits to our dental office as enjoyable as possible. For the comfort of our patients, we offer in-office sedation dentistry. We have also invested in the latest technology including radiation reducing digital X-rays. Families in Acworth and the surrounding areas can rely on the professionals at Kennesaw Mountain Dental Associates to provide all the dental care you will need to maintain healthy teeth and gums. Our practice is currently accepting new patients and accepts most dental insurance plans. For the convenience of our patients we also accept credit card payments and offer financing through Care Credit. 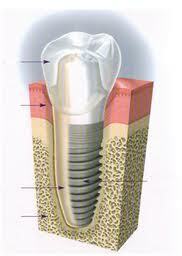 Please contact our Kennesaw Dental Implant Restoration Experts today to schedule an appointment. We looking forward to meeting you and to helping you achieve your best smile!